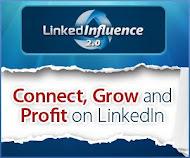 Surge Your Profits: Internet & Social Marketing Strategies: Why Did Yahoo Purchase Tumblr? Why Did Yahoo Purchase Tumblr? So what is TUMBLR (launched 2007)? Just why did Yahoo purchase Tumblr (May 20, 2013 for $1.1 billion!)? I was curious as to why Yahoo purchased TUMBLR. Here is a good explanation from The Economist: click here for the discussion - enjoy! 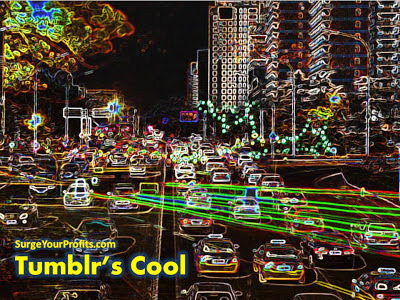 - a blog (tumblelog), microblog, semi social network, more like Twitter and Weibo. - in effect "part blog, and part (subtle) social network" (online chameleon?). 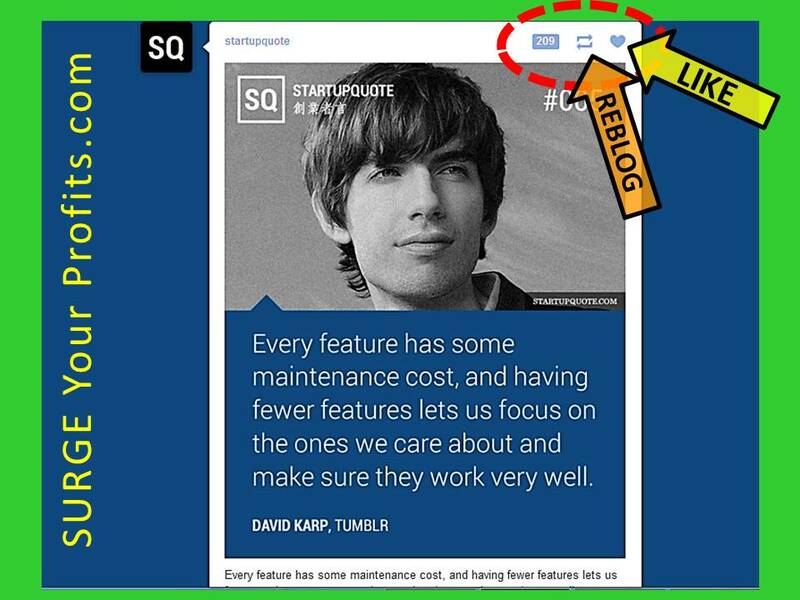 We know just how quickly any post you make to your newsfeed on most social platforms gets buried in an avalanche of other posts, tweets, etc. and just how short the shelf-life is with these posts. It is hugely more transient than the millions of plastic bottles that get thrown away after instantly slaking one's thirst. Instant gratification followed by instant disposal ... it's even faster online (not surprisingly attention spans are becoming increasingly shorter). We also know that a blog post has a better stab at 'longevity' than your social media post but alas, most blogs online do not have a huge exposure to traffic. Most will languish in the still, backwaters and stagnant pools of social rivers, far away from the frothing torrent that gushes and tumbles through the facebook-forest, pinterest-pinnacles or twitter-terrain. But not Tumblr - as a hybrid, it straddles both blog and social network. Longevity and Traffic - isn't that what most of us want? And while there were clones of this tumblelog model, they have not been able to dominate this hybrid niche the way Tumblr has. The other key feature of its success is that users are not restricted the way they can be on other social platforms. 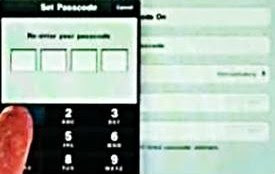 You can open an account the no-fuss way. Tumblr has in fact been described as the 'Anti-Facebook', "a social network where you do not have to be friends with your mother". Perhaps that explains why it is dominated by 13-25 year-olds (the teen years and [immediate] post-teen years; note that some stats have it as 18-25). And the interface is simple - you can post any media with ease, whether it is audio, video, images or text although there tends to be a preponderance of images. If you find curating or blogging difficult check this site out - just reblog and edit to your heart's content. Blogging made easy? Definitely. Reblogging is 'easy as'! In the Dashboard view, click on the icons at the top RHS to "Reblog" (orange arrow) or "Like" (yellow arrow - the heart turns red after you have 'liked'). The number-icon on the left denotes the total number of comments. After you have inserted the original post, you can add comments, etc. below and generally edit the way you wish. Or you can delete and start over again. Mr Karp said in 2012 that each original item posted to Tumblr is reblogged nine times on average, which means about 10% of items posted on Tumblr are original; most are reblogs of items posted by others. 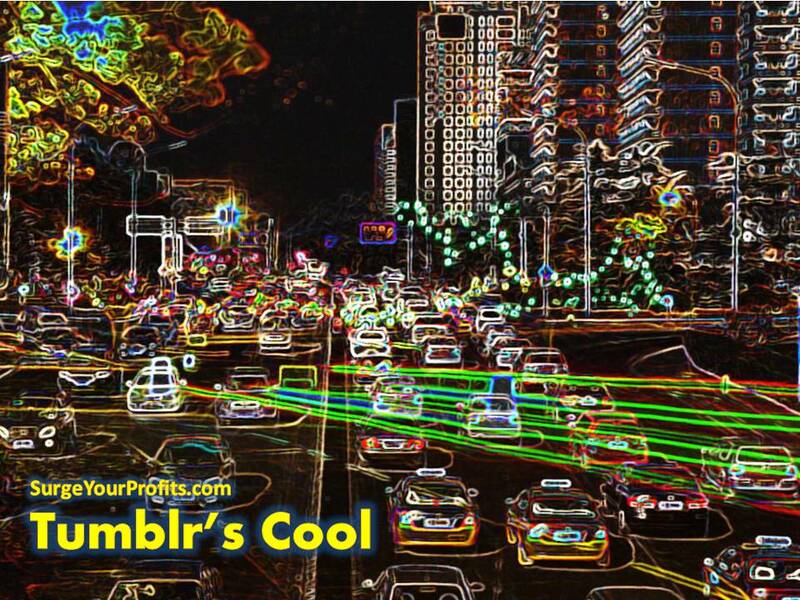 Tumblr lets the mash-up/remix generation express themselves by sharing, curating and collating items of interest. 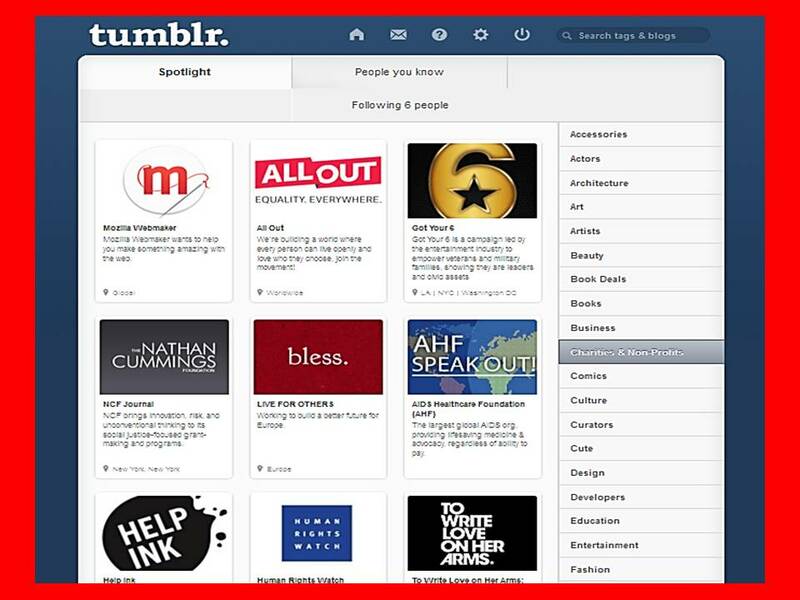 A survey of American internet users found that Tumblr was the most popular site among those aged 13-25. So what can we learn from this? The Consumer reigns supreme - all power to the Consumer! Essentially Tumbler's appeal was that it embraced a culture of sharing and social looseness. The smart thing about this is Yahoo will not tamper with the current successful formula and is retaining the founder David Karp to keep running the business, which was acquired to boost its position in the area of social networking (and "make money placing advertisements on Tumblr pages"). On May 20th Yahoo's chief executive (Marissa Mayer, ex Google), said Tumblr had 300m users, and more than 20 billion page views per month (Mr. Karp). A site not to overlook since it "got it right" when it comes to keeping consumers happy. 20 billion page views per month suggest that Tumblr Users are not just happy. They are in fact ... simply ECSTATIC! And so should YOU now that it's come to ~YOUR~ attention! After the acquisition where to from here? What is Marissa Mayer planning for Tumblr? Do you think MM's plans for Yahoo will work? Remember that "First come first served". Or "The early bird gets the worm". A new concept-business that captures initial market share and remains the main-player has so much traction that it is difficult for competitors to get a foothold let alone oust the dominant player (Youtube) from its entrenched position in the industry (video / tv site). Youtube is still unbeatable as the King of Videos for traffic and size of user-generated, video content. And growing still rapidly. Note the numerous and ongoing changes and improvements on the platform - YT is showing no signs of "resting on its laurels".